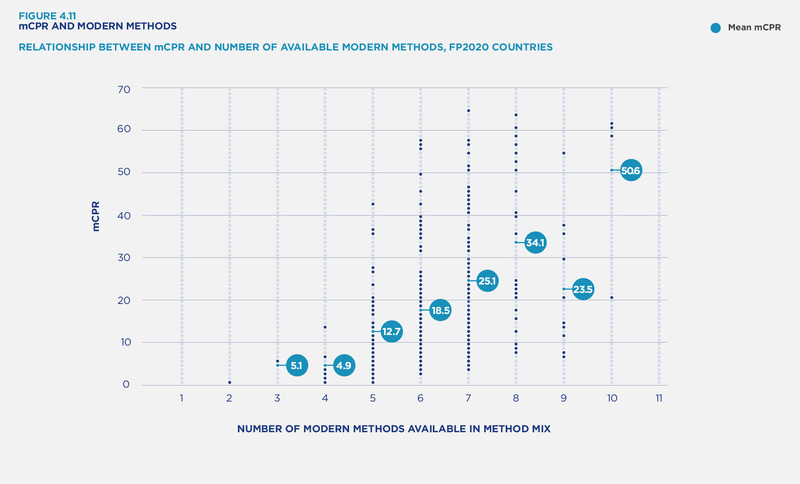 Contraceptive method mix shows the percentage distribution of contraceptive users by type of method used. Countries typically use this indicator for planning, especially for commodities and logistics planning. A more diverse method mix helps meet the individual and varied family planning needs of women and couples. Contraceptive preferences vary according to the stage in the reproductive cycle and reflect differing needs based on age, levels of exposure to risk of pregnancy, parity, economic activity and sociocultural norms. Having the option of many different modern methods allows a woman to select a method based on her specific needs and preferences.